Former Defense Minister Ya'alon says Israel is 'being destroyed by its politicians,' insists PM Netanyahu resign. 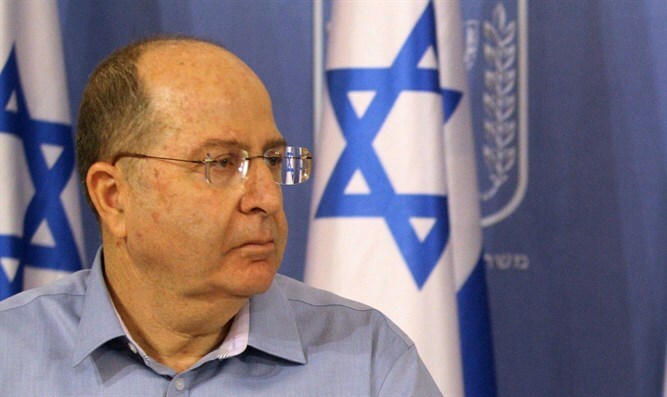 Former Defense Minister Moshe Ya'alon, who hopes to run for prime minister on his own party list, on Saturday said that "for the sake of the public, Prime Minister Binyamin Netanyahu needs to resign today, right now." "People don't understand how much this corruption harms everyone of us," Ya'alon said at a Shabbatarbut event in Netanya. "Think what would we could do with the two billion euros spent on unnecessary submarines." The police have clearly said that Netanyahu is not a suspect in the investigation involving the alleged corruption in the purchase of German submarines. "There's a lack of faith in the leadership. If the leaders' decisions are not free of personal interests, I'm not sure that doesn't influence those enlisting into the IDF as well. It's time for a Prime Minister who doesn't need to be investigated. Sadly, I have to say that Israel is a country which has been destroyed by its politicians." The suspicions against the Prime Minister stem from two ongoing investigations, dubbed the “1000” and “2000” cases. The investigation into the so-called “1000 scandal” began in December of 2016, and centers around claims the Prime Minister improperly received gifts, such as cigars, from a number of wealthy businessmen. The “2000 scandal” involves allegations the Prime Minister and Yediot Ahronot publisher Arnon “Nuni” Mozes conspired to soften the paper’s anti-Netanyahu line in exchange for passage of legislation barring the free distribution of Israel Hayom, a rival paper that has cut into Yediot’s readership in recent years. Speaking about the recent attack on a Syrian military base, Ya'alon said he "doesn't know who carried out the attack, but whoever it was did Israel a great service." He also said there is a "new threat, resulting from the understanding reached between Russia and the US. It's important that we continue not to involve ourselves in Syria's war. We must continue to ensure Israel's security interests and protect ourselves, by ourselves." "The Russians, even if they think we carried out the attack, have not said a word. There's a hotline between our defense systems, and there's an understanding that we will not disturb each other. I don't see a chance of escalation, but we need to continuously evaluate the situation. The fighting has not yet ended, and it will continue for a long time." In March, Ya'alon formed his own political party, and announced his intention to run for Prime Minister in the next elections. However, a poll showed Ya'alon's party struggling to pass the four-seat threshold required for entry into the Knesset. Ya'alon was fired from his position as Defense Minister by the Prime Minister.